Is there a time limit between the date of an accident and when you see a doctor to have a solid case? Answer: There isn't a time "limit" but the longer you wait to see a Doctor, the harder your case will indeed be. It is your burden to prove that you needed any medical care related to the accident that was caused by the negligent party. With any sort of delay, an Insurance Company will argue what is called a "gap in care" and make it difficult for you to prove that any injuries sustained was due to the accident. 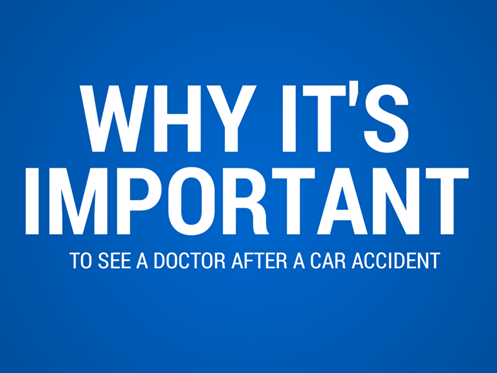 Needless to say, make sure you see a Doctor as soon as possible after an accident if it's needed.